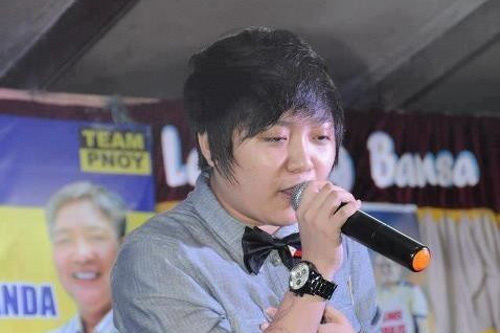 International singing sensation Charice Pempengco has confirmed that she is a lesbian. She made the disclosure in a recorded interview with talk show host Boy Abunda during today’s episode of The Buzz. Her announcement ends persistent rumors about her sexuality which began early last year when she embraced an “edgy” hairstyle. “Opo, tomboy po ako,” Pempengco said in response to Abunda’s direct question. She also apologized to her mother Raquel and brother Karl, revealing that her frequent conflicts with her mom prompted her to move out of their house. “Sorry, mommy. Eto po talaga ako,” she said. Check out the full transcript of the interview through the EnterVRexWorld blog site. Early last month, her mother Raquel publicly said that she is allowing her daughter to reveal her sexual identity. “Bilang ina ay hayaan ko siyang ilantad kung ano ang tunay na katauhan niya. Kung ano ang gusto niya, dahil doon siya magiging maligaya,” she told ABS-CBN News. Pempengco also revealed that she has a special relationship with Alyssa Quijano, former contestant of X Factor Philippines, where the singer served as a judge. “She’s an inspiration. Isa po siya sa pinagkukunan ko po ng lakas ngayon,” she said. She explained that Quijano and her had known each other since they were just nine years old. The singer’s penchant for trying out “manly” hair styles frequently trigger lesbian rumors online. A picture of her taken during a performance in a campaign trail earned Pempengco unfavorable comparisons to Korean rapper Psy and Senator Bongbong Marcos. Cagayan de Oro City in Misamis Oriental will be marking its 63rd Charter Day anniversary this June 15. The day, which falls on a Saturday, is a special non-working holiday in the said city in northern Mindanao as declared in Republic Act (RA) 7670. RA 7670 took effect during the term of then-President Fidel V. Ramos. Click here to read the full text of RA 7670. The city charter of Cagayan de Oro, known as RA 5521, came into being in June 15, 1950. Elpidio Quirino was the Philippine president at that time. Access RA 521 here. Cagayan de Oro have played a major role in Philippine history. 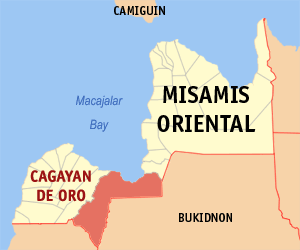 In 1872, Governor-General Carlos María de La Torre designated Cagayan as the permanent capital of Segundo Distrito de Misamis (modern-day Misamis Oriental). From being known as simply Cagayan, the place came to be known as Cagayan de Misamis. Almost a century later, Congressman Emmanuel Pelaez successfully led the effort to rename Cagayan de Misamis as Cagayan de Oro. He went on to serve as Vice President from 1961 to 1965. Cagayan de Oro was declared a highly urbanized city in 1983. *June 15, 2013 may also be declared as a holiday in Pampanga just like last year. This is to commemorate the 22nd anniversary of the eruption of Mt. Pinatubo. Watch out for updates.